A tropical forest sustains a huge biomass and rich biodiversity, controls the local and global environments, and supplies various products such as timber, fuel, food, and medicine, thus supporting local livelihoods and benefiting the lives of those outside the forest (Fig. 1). However, deforestation and degradation of tropical forests have been advancing rapidly, and valuable tree species have been depleted from forests in many tropical countries. The demand for these depleted tree species/resources is being supplemented by products harvested from plantations (Fig. 2). Such plantations contribute to restoring forest cover, mitigating the logging pressure on the remaining natural forests, and, if owned by local people, improving their livelihoods. For the local people, however, trees are not often viewed as attractive alternative crops for long-term investment. To attract more local people to plant trees, it is necessary to demonstrate the competitiveness of tree plantations. This project, therefore, intends to develop and disseminate techniques and knowledge to grow higher-value plantation products in a more efficient and stable manner. 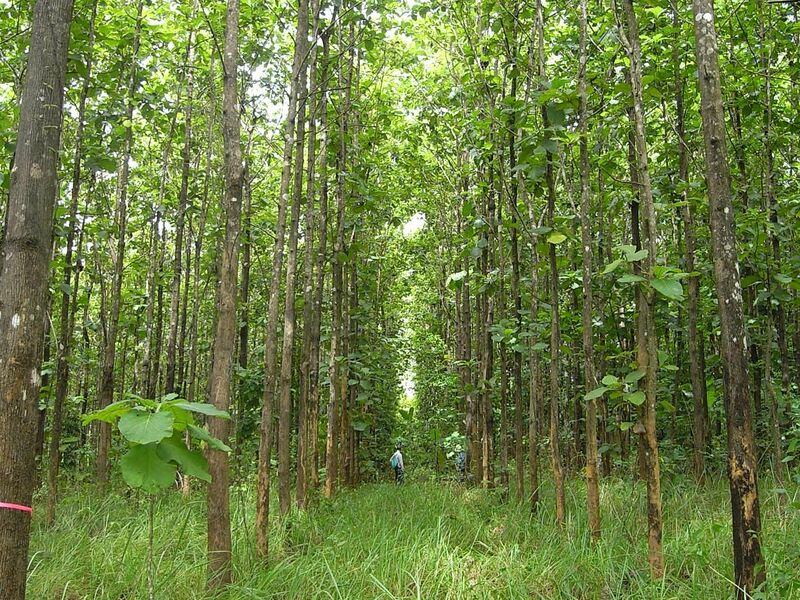 To achieve its goals, a suite of techniques such as adding value to the standing trees, improving the soil, monitoring the plantations efficiently, and breeding trees of higher-value traits, will be developed for indigenous tree species in Southeast Asia.